You may think it’s only the tenant who has a hard time paying the mortgage, but as a real estate investor or landlord in The Bronx NY, there may be times when it’s hard to pay the mortgage on your end as well. Here are some things you can do to avoid facing difficulty in paying your mortgage each month. 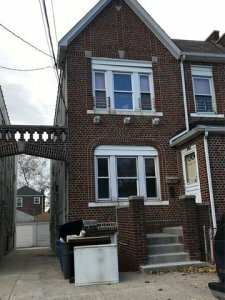 Look for long term tenants in The Bronx NY? Don’t assume that quality tenants will necessarily be long term ones. Some good renters may know they can’t stay over a few months at most. They may be students or working a temporary job. They may just be living in an area waiting to move or retire somewhere else. Whatever the situation, opt for long term renters when the choice is available. Doing so will make filling a vacancy at least a more infrequent possibility. Being a good landlord in The Bronx NY will go a long in way in developing lasting relationships with your tenants, which will in turn, help you keep them in your property longer. Often a tenant and landlord relationship can turn an average tenant into a great one simply because they want to keep that relationship intact.